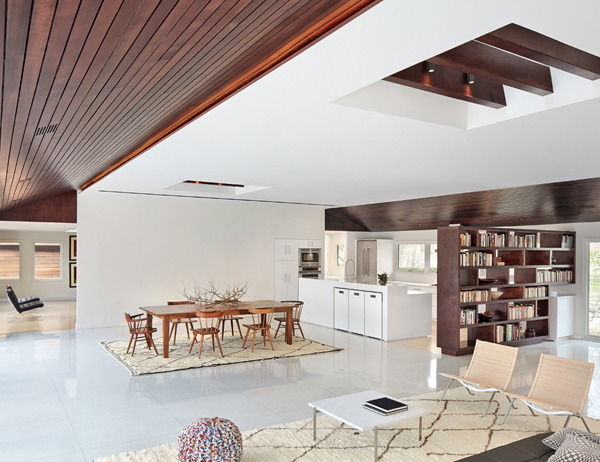 The Long Island Residence is located in a rural community on the edge of the Long Island Sound. Approximately twenty-five miles from the heart of Manhattan, the area is known as a tranquil counterpoint for daily commuters seeking to escape the city's frenetic pace. 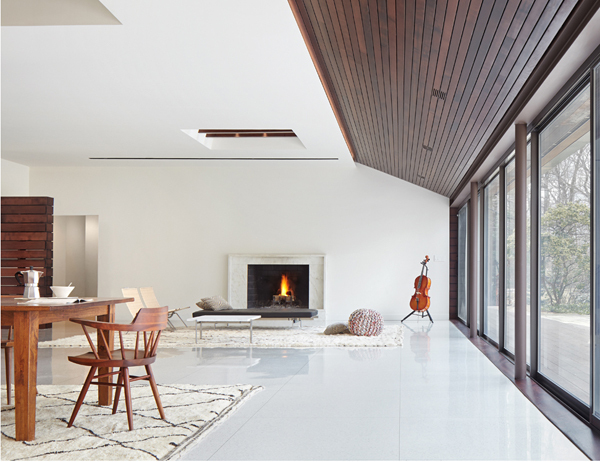 The project is the result of a renovation seeking to both preserve and refine an existing dwelling that has stood on the site since 1961. Externally, the dilapidated skin of the residence was stripped back to its framing, which was then altered to create a more seamless roofline and expanded openings within the façade. Internally, structural alterations were made to allow for the removal of a wall separating the kitchen from the main living area, integrating these zones as a new activity core for the home. 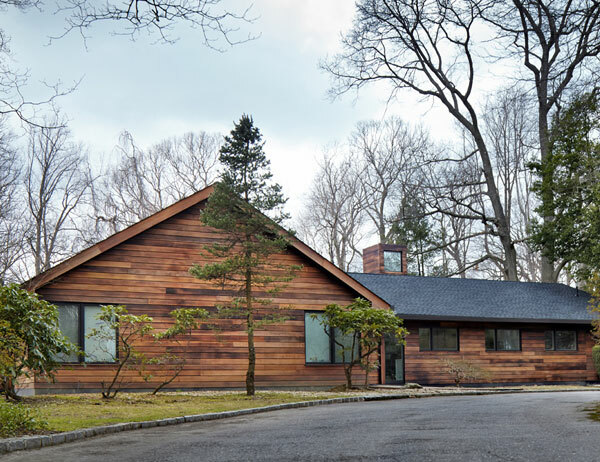 In response to both the spectacular surrounding landscape and a desire to improve energy performance, a highly insulated envelope was developed. The envelope was finished in a horizontal open-joined rainscreen with cedar boards charred using the traditional Japanese Shou-sugi-ban burning method. 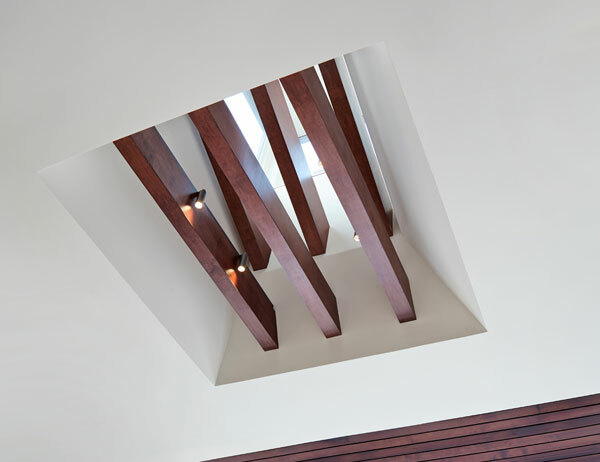 This technique was also used internally on sloped ceiling planes, walls and screens. Concealed lighting and mechanical systems were introduced throughout the interior. 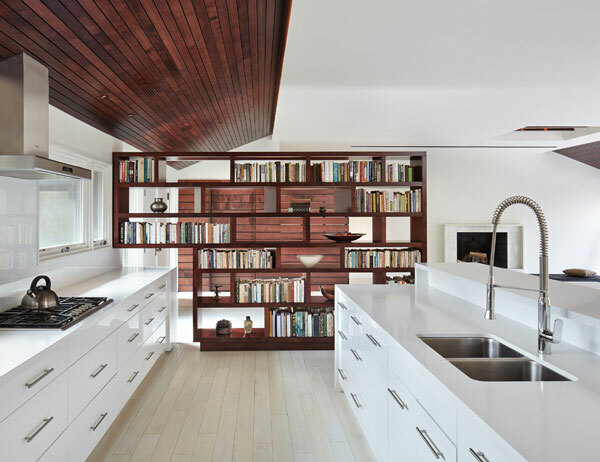 To complement and enhance the existing terrazzo floors, lacquered cabinetry and polished stone finishes were employed throughout the new kitchen.